It’s a camera and laptop messenger bag! While this – this Union Street Messenger bag has style, has finesse and character! 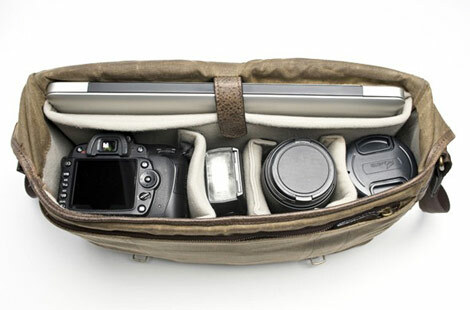 Plus enough room for a DSLR camera and 3 lenses, a 15” laptop and personal items (such as an iPad and more). Don’t miss out on these $279 gadgety beauties!